Knowing what markers to choose to identify certain cell types can often be a time consuming and confusing process. With this in mind we have developed a range of resources to help you make this choice. Please select the resource of choice below to find out more and download/request your copy. 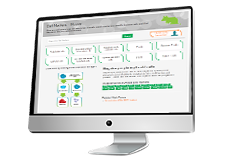 With all this information at your fingertips, you decide how to use it! Highlighting what the tool has to offer and its ease of use. The mouse biomarker expression poster provides a cellular expression profile for over 400 top immune markers. The booklet also includes a biomarker expression patterns grid enabling cell marker identification at a glance. Download your interactive PDF to directly access antibody data available to these markers. 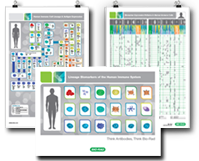 Find your cell specific markers using our human immune cell lineage and expression guide, posters and interactive database.